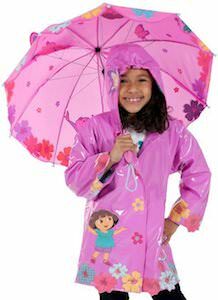 Kids are often not happy with the dark at night and that is why night lights are perfect. 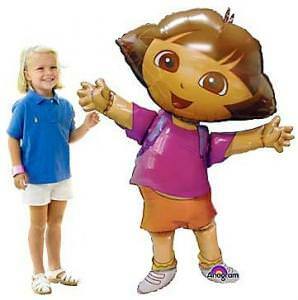 And if you kid likes Dora the Explorer then this is the perfect night light. The night light can be mounted horizontal or vertical depending on your power socket and is made from thin porcelain to make the light come out softly. 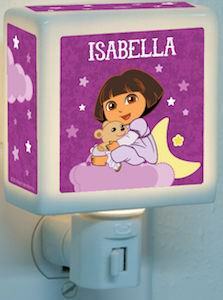 The sides of this night light show a purple sky with stars and clouds and on the front there your find Dora sitting on a cloud with the moon behind her. 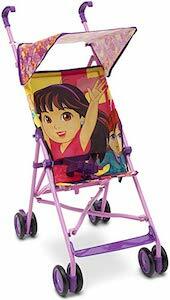 And this time Dora the Explorer didn’t have her friend Boots around but she does have a cute teddy bear. And did you notice that the night light on the picture also says “Isabella”? that is because this night light comes personalized with your kids name on it (max 9 characters) and that makes it extra special. 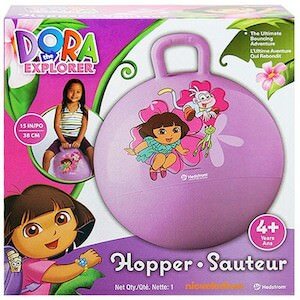 Get ready for bed time knowing that you have your own Dora The Explorer Personalized Night Light.